A poll that suggests America wants a Dem Congress. I say we go further. 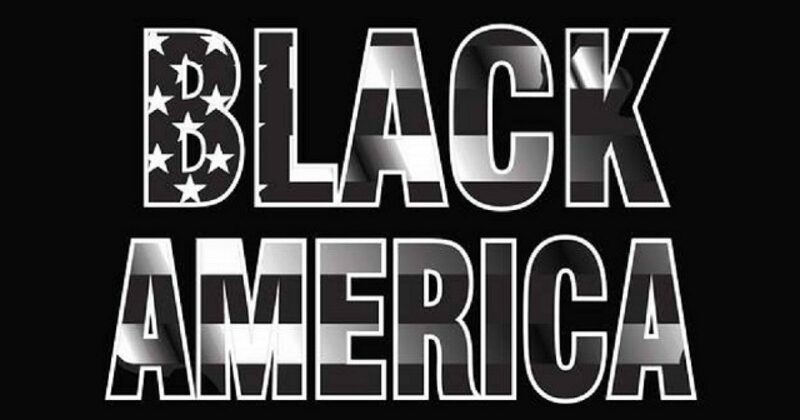 In a take on Trump’s “Make America Great Again,” I say given our black president, let’s make America black. Why not? The black Dem president has worked out so well, at least “statistically”. Why not make America black? Statistically unemployment sits at 4.9 percent. However in reality, more people are unemployed in America in the country’s history. Our bond rating is the lowest in modern history. Our GDP is the most anemic in modern history, and has slipped at least 5 percent under Barack Obama. Nevertheless, Liberals love the black president. If he were a white Republican, you can bet you’d know the truth about our horrible economy, our embarrassing foreign policy, and our unbelievably bad race relations, to name a few things. However, since Liberal love lies, we can do a lot better. Let’s not just have a black president. Let’s blacken everything, shall we Cajuns? Why not make all of Congress black? Why have the Congressional Black Circus, when we can have the entire Congressional body be black. How’s that worked out for black people? I’m sure my readers all would love to live in a black neighborhood or attend a black school? Why not increase your chances of dying exponentially by living among “your people,” and getting that stellar 8th grade education when you graduate high school. What black community would you like to live? Compton, North St. Louis, Cleveland, Baltimore? Would you like to LIVE in ANY area where a member of the CBC is leader? Further, as a black American, why worry about 10 percent unemployment experienced by most of America, when you can have 30 percent. Let’s make all businesses black, because that’s certain to help. I’m sure America will see a capitalism Renaissance under new black ownership, as Google gets a name change and starts selling BLM t-shirts. While we are blackening America, let’s make all judges, attorneys, and cops blacks. How’s that going to reflect on the statistics of “stop and frisk,” or “racial profiling”? Since everything in America is now black, Let’s have some fun, and let’s just make America AFRICA. At least that way we could legitimately use the idiotic term African-American. After that let’s annex Africa, then take volunteers to go live in The Motherland. Sign up here! What glorious African annex would African-Americans wish to live? Somalia? Congo? Nigeria? Which member of the Congressional Black Circus would you like to represent your newly formed African state? Sheila Jackson Lee? Hank Johnson? Maxine Waters? How about the one of the other members of this gang of crooks who are under Congressional investigations? Interestingly, when Africans leave their countries of origin, they don’t go to other African countries. Instead they immigrate to Europe or America. Africans actually AVOID “black” countries; and the blacker the country, the more it’s avoided. But black Liberals want to “brown” America. You know why black Liberals love their circumstances? They fear BETTER circumstances. Black Liberals have a comfort zone. Most are afraid of what it takes to make it in the “white” world. Those who are comfortable and accomplished relish in the ignorance of their fellow black Liberals. They represent the bourgeois whites who see themselves as better than everybody. Bourgeois blacks are no big deal in the white world; but they are considered sages in the black Liberal world. Idiots like Michael Eric Dyson, Marc Lamont Hill, and so on. These men represent the race pimping intellectual midgets that black Liberals believe to be intelligentsia. Black America needs a Renaissance. One like the Harlem Renaissance of the early 1900’s. A time when blacks made huge strides in all areas of life. I look forward to the day when to live in a black community is coveted. I look forward to the day when a black student is revered for his academic prowess. Until things change, that good feeling is a long way off.